The iconic Purina plant in north Denver is a major landmark on the Mile High City skyline (Purina photo). There’s a palpable sense of pride when talking to Nestlé Purina engineering manager Tom Rotunno about the north Denver factory where he’s worked for the past two decades – the iconic pet food facility right off Interstate 70 at 4555 York St.
Rotunno, a Colorado State University product, immediately launches into the fact that the Purina plant was the first-ever solar-powered pet-food factory, that it sends exactly zero waste to local landfills, that just last year it donated 230,000 pounds of pet food to local animal shelters and that it’s one of the most efficient and technologically advanced pet-food factories in the world. “It’s kind of like my baby now,” Rotunno says of the factory that rises up in the foreground of Denver’s downtown vista for anyone passing through on I-70 – its vivid red-and-white checkerboard logo a symbol of Mile High City manufacturing productivity since 1930. Rotunno started out as an engineering assistant, then progressed up through the ranks as a staff engineer, then senior staff engineer, and now he heads the engineering department. All told he’s been involved in construction and equipment throughout the plant for 20 years. 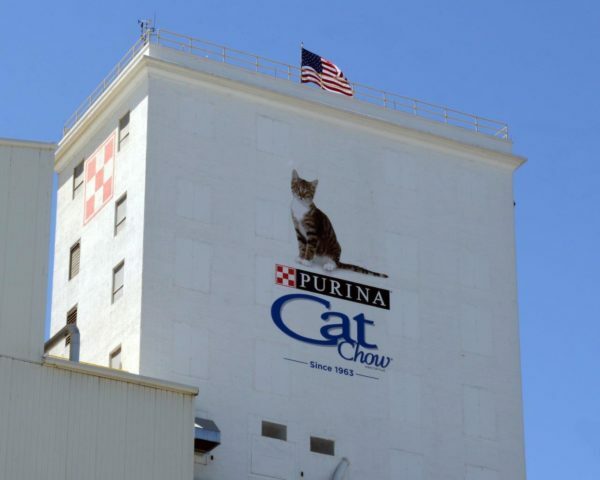 The Denver facility, part of a network of 20 Purina factories across the United States, employs 280 people making a wide variety of dry dog- and cat-food brands. It receives ingredients by train and truck from all over the U.S., including locally sourced meat and grains from Colorado. Rotunno says pet health is the plant’s top focus, with a team of Purina veterinarians on site at the Denver plant – a group that also works closely with CSU’s veterinary program. 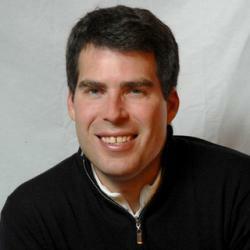 No animals are actually slaughtered in the production process at the Denver factory, he adds. But like any proud papa, if you tell Rotunno that his baby is a little smelly, he takes it to heart. As iconic as Purina’s factory is, so too is the odor that wafts through passing car windows and nearby neighborhoods. Dry ingredients are mixed with wet ingredients to form a dough that is then cooked and shaped in an extruder before being dried in large dryers. To deal with the odor, which drew some negative press in recent years during the debate over marijuana odor ordinances, Purina installed a first round of tech several years ago called cyclonic separators to filter out the small particles that carried the most odors from the dryers. Stefano Casadei, Nestlé Purina’s plant manager for the Denver facility, is relatively new to the operation, having taken over this past spring. But the Italian native who grew up in London already senses the staff pride and the plant’s place in the community. “Part of us being a good neighbor is we needed to listen to our local communities and some of the complaints that we had in the past, and so we spent a significant amount and we put together a solid strategy to do odor abatement,” Casadei said. Casadei says that sense of place in the community will be challenged in the coming years with the reconstruction of the I-70 viaduct.